In what some would call an unlucky outcome a man has lost the right to part of his former wife’s $6 million lotto winnings from five years ago. The court battle over the cash has been dragged out over the past two years, but this month it was determined the man was not entitled to any of his ex-wife’s money. 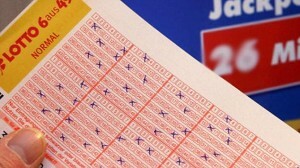 The man has lost his legal bid for a share of his ex-wife’s $6 million lotto win after an appeal court found the ticket was bought when the pair were leading separate lives. The man whose wife won the lottery six months after they busted up must pay her legal costs after losing a legal challenge for a cut of the booty. The man, who was married to his wife for 20 years before they split in 2009, had mounted a challenge in the Family Court for a cut of some of the cash, claiming the money his ex-wife used to buy the ticket came from joint funds. The man, aged in his early 60s, and his ex-wife, in her mid-50s, were married for 20 years before separating in July 2008. The wife told the court she had used money from her sister, payments from the family business, a $6000 tax refund and refunded school fees to pay for the tickets, giving her sister $1m from her $6m win. The husband argued funds from the business, which had been run primarily by him, represented a contribution to the win. In the second round of a court battle stretching over more than two years, a three-judge bench of the Family Court this month rejected the man’s claim to a share of the spoils. The couple, who have been given the pseudonyms of Mr and Mrs Eufrosin to protect their identities, were married for 20 years before they separated in July 2008. Court documents reveal Mr Eufrosin’s wife had been buying lotto tickets since the 1980s with money provided by her husband, but in 2008 began a separate gambling venture with her sister, who contributed $20 a week. Hoping for a bit of “tihi” — Greek luck — Mrs Eufrosin spent $59.45 on 10 tickets in various gambling ventures and hit the jackpot. The woman started buying weekly lotto tickets before the marriage and bought the winning ticket six months after the separation, while she was on a holiday. She gave her sister $1 million because they had discussed sharing any win and her sister had given her money each week. A single judge of the Family Court rejected Mr Eufrosin’s claim of a share of her million portion of the winnings in May last year. Justice Janine Stevenson said a “significant issue” in the case was whether the husband had made any contribution to the ticket, as the wife had money from multiple sources, including her sister and funds from a family company. “The money used by the wife to purchase the winning ticket could have come from any one of these sources or multiple combinations thereof,” Justice Stevenson said. Justice Stevenson agreed with a 2011 English decision involving a lottery win, in which the Family Division of the High Court found: “The price of the ticket, one pound or two pound, is so inconsequential as can be safely disregarded. Justice Stevenson concluded that Mr Eufrosin had made “no contribution” to the money his wife used to buy the winning ticket in early 2009. Mr Eufrosin appealed against the decision to the full bench of the Family Court. The case case has been struck down by an appellate bench that found the couple’s separation meant the source of the money was irrelevant. The three-judge bench – Justices Stephen Thackray, Peter Murphy and Murray Aldridge – dismissed his appeal. “We do not consider her Honour was in error in determining that the husband did not contribute to the wife’s lottery winnings. Those winnings were not connected to the marriage,” the judges said. They ordered the husband to pay the wife’s costs.